The recently completed sale and installation of a Yanmar medium speed 8EY26, 2 201kW @ 750r/min engine to Sea Harvest for the re-power of their trawler vessel M/V Mariam Makeba has proven a great success. With the deciding factors for the owners & operators being Yanmar’s reputation for reliability, size, economy, ease of maintenance and the heavy load conditions to which this main engine would be exposed the Yanmar 8EY26 is proving to be the perfect engine for the application. 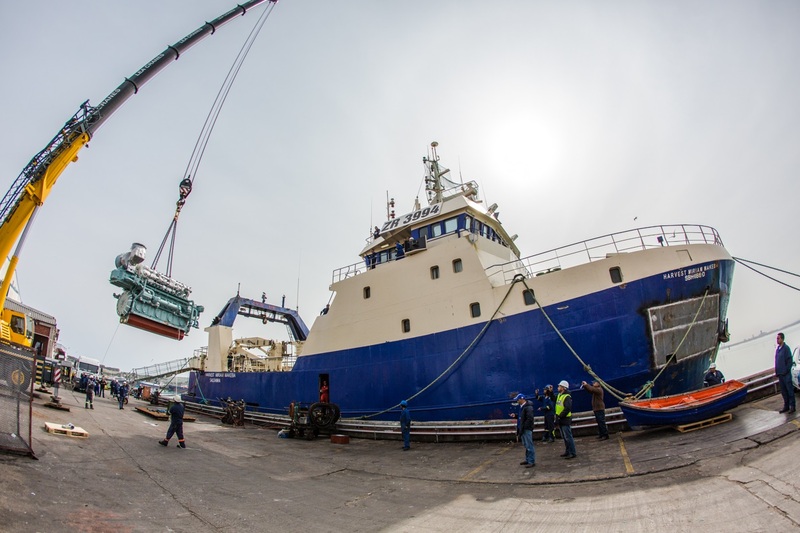 With initial sea trails having taken place in September 2015 the main engine has just completing the first 1500 hour maintenance schedule which was carried out by Seascape Marine’s service dept.